Have you ever wished to be able to also listen to the outside world when listening to your favorite track on your headphones? I have so wished this was possible. Now it is! Thanks to these bone conduction headphones. This product is currently looking for funds on Kickstarter, and has already achieved a little more than 70% of its goal at the time of writing. Batband headphones, from the house of Studio Banana Things, claims to transmit the audio through the bones in the skull, while the ears remain uncovered. The outer frame is made up of cold-formed spring steel with black oxide finish. The inner is made up of molded PU foam. 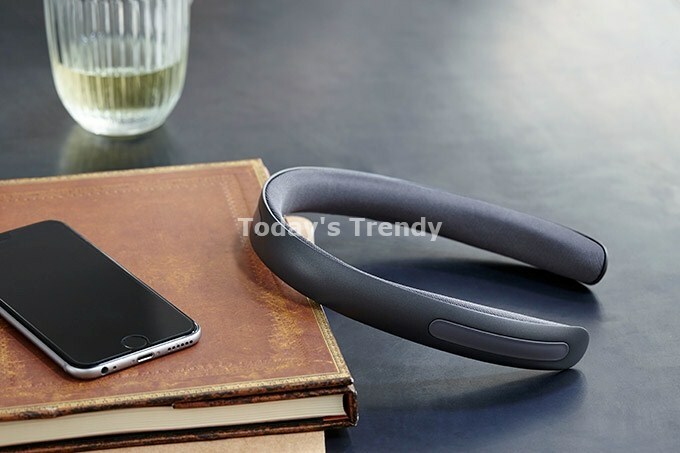 It can be connected to the user's smartphone via the Bluetooth interface, so that one can wirelessly play music. 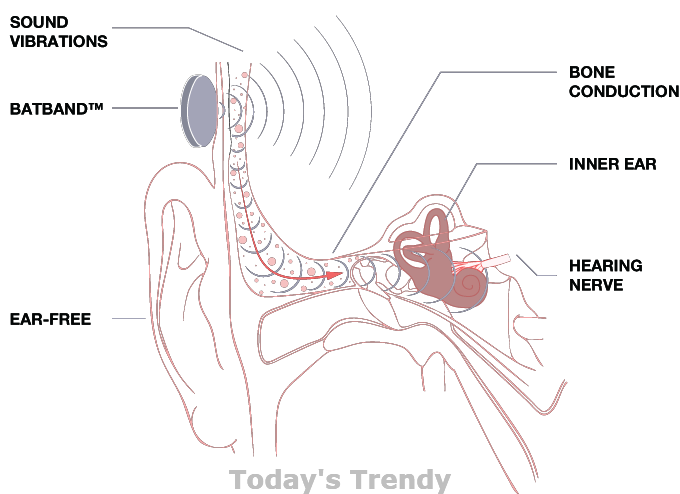 It can also be used for making or taking calls, via the microphone present on it. A button on the left can be used to power the device on or off, and also to take and end calls, or to play and pause. A capacitive swipe panel on the right can be used for volume or track control. The device also possesses a pressure sensor. It is powered by two rechargeable lithium-ion batteries, with a capacity if 300 mAh each. It is believed to provide six hours of playback, or eight hours of talk-time. The micro USB port can be used for charging the device. 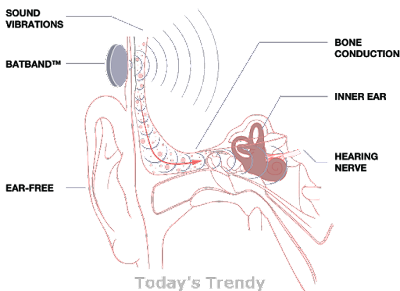 The device, consisting of transducers, transmits the sounds waves at a frequency that allows them to be conducted through the bones in the skull. As a result, they are perceived by the inner ear, while the outer ear remains free. To achieve this, three transducers are incorporated. They touch the user's head at three different places - two touching the sides of the head (hence transmitting sound via the temporal bones), and the third touches the back of the head (hence transmitting sound via the occipital bone). The applications are endless. 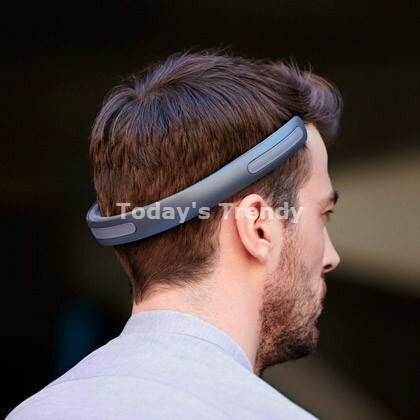 One can use it to take calls on-the-go, conversate on Skype, get spoken GPS instructions, play games, or simply listen to music during transit or while sweating out in the gym. It can be pre-booked for $149 a piece. The campaign runs till October 28, 2015. And if the required funding is met, you might get your heads on the device by April next year.